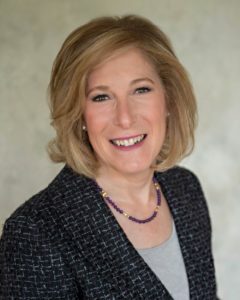 Debra D. Feldman & Associates, Ltd. is comprised of licensed social workers and health care professionals with extensive experience in care management, and a broad range of connections within the local community. Debra and her colleagues pride themselves on offering compassionate care for seniors and expert support for families. Our professionals act as liaisons and advocate for those who are not in the position to do so. 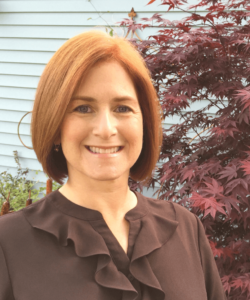 Debra Feldman is a licensed and insured clinical social worker. She received her Master of Social Work from the University of Michigan in December, 1984, and her B.A. in Psychology and Sociology from Washington University in St. Louis in May, 1983. Trained as a social worker, Debra began her career as an Aging Life Care™ Manager in 1988, and in 1991, she established her own company, Debra D. Feldman & Associates, Ltd.
Debra acquired her Certification as a Care Manager through the National Academy of Certified Care Managers in 1998. She is a member of Aging Life Care™ Association (formerly the National Association of Professional Geriatric Care Managers); the National Association of Social Workers; the National Guardianship Association; and the Exclusive Professional Women’s Networking Group of which she is currently serving on the Board. Debra served two consecutive terms as President of the Midwest Chapter of the Aging Life Care Association (2013-2016). She has served as Co-Chair on two committees for Aging Life Care™ Association; the President’s Committee and the Digital Marketing Committee. Debra is serving on the Board of the Aging Life Care Association (2018 2019), and chairing the Aging Life Care Association’s annual conference in Chicago May, 2018. Valerie Turck is a seasoned Aging Life Care™ Manager, whose background includes over 25 years of experience in the social work/care management field. After graduating from Loyola University with a Masters in Social Work Valerie began her career as a Medical Social Worker. Prior to becoming an Aging Life Care™ Manager in 2006, Valerie provided social work services in hospitals, through skilled home health agencies, private duty home care and hospice. This wealth of experience provides Valerie with the ideal skills to provide the full spectrum of care to her care management clients. Valerie greatly enjoys working with older adults in their home. And while she finds all aspects of elder care rewarding, Valerie positively thrives on working closely with and learning the life stories of each of her clients. Valerie is a Licensed Clinical Social Worker and certified by the National Association of Social Workers as an Advanced Social Work Case Manager. She is a member of the Aging Life Care™ Association and the National Association of Social Workers.